There is an assortment of cherry and salad type tomatoes available at Tomatopalooza 2016. Mexico Midget, Black Cherry, Super Sweet 100, and Juliet are available. 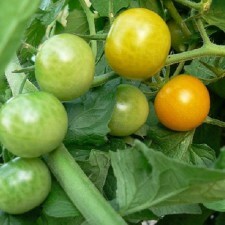 In addition Sungold, a very popular yellow/orange variety last year will be for sale. For shear yield, Mexico Midget and Super Sweet 100 can’t be beat and both have been dependable producers throughout the summer here on the gulf coast. 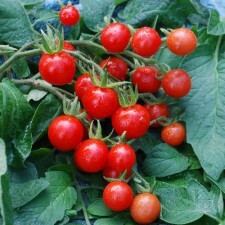 Super Sweet 100 is, as the name implies, super sweet and even children who normally turn their noses up at tomatoes often enjoy gobbling these up. Super Sweet 100: Produces well over an extended season through the summer and into the fall in some plantings. As the name implies, very sweet and I know children who refuse to eat tomatoes, that gobble these up. Mexico Midget: Like Super Sweet 100, Mexico Midget is a heavy yielding variety that often yields fruit all summer with slightly smaller fruit than Super Sweet 100 (in our plantings). Very good tomato flavor. Sungold: This variety sold out last year and has been very popular with Gulf Coast gardeners. It is yellow to tangerine orange and very sweet. We have never grown this one but from the reports I have gotten from many folks at MBG, this is their favorite and I am looking forward to trying it. 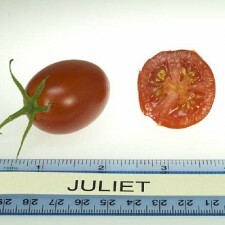 Juliet: This is a larger salad type tomato that looks like a sauce plum tomato. 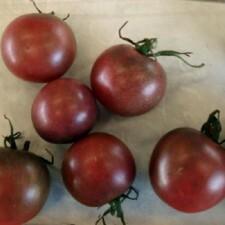 It is a very dependable heavy yield tomato for us in Mobile and is a versatile fruit. 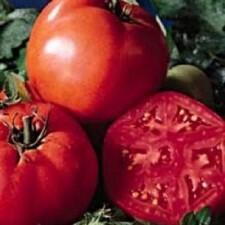 Can be eaten fresh, used in cooking, canning, and I even dried.